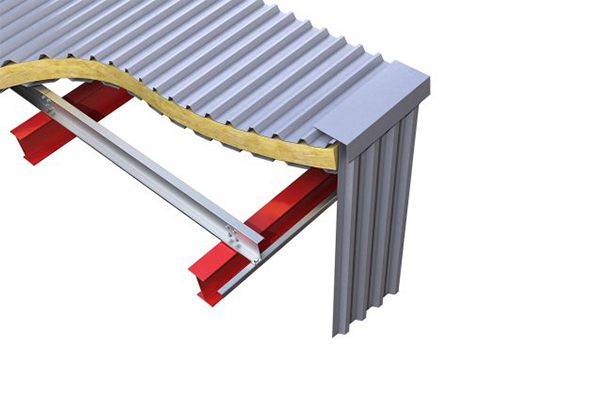 Metsec round lok anti-sag rods and lateral support angles are designed to restrain purlins against twist under wind uplift conditions and contribute support during sheeting. Typical detail showing the side cladding fixed to the purlin with a cleader angle. 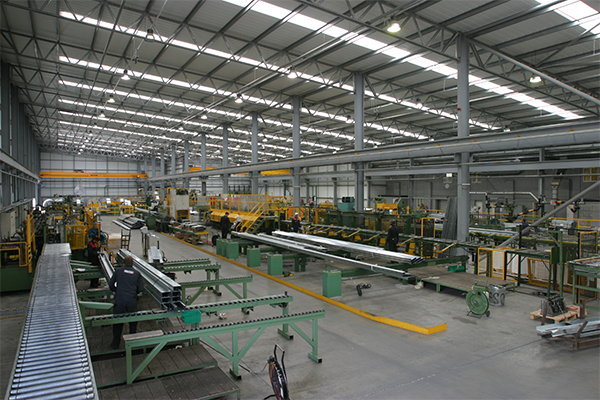 Where the supporting steelwork is constructed using deep universal beam sections, lattice trusses, etc., rafter stay fixing holes can be added to suit individual requirements. 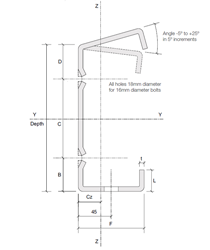 The ideal angle for rafter stays is 45°. For economy, it is recommended that Metsec horizontal cladding supports with riveted end cleats are used as vertical supports to the horizontal cladding panels. 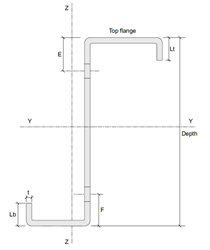 The MetSPEC design software can be used to select these sections. Capacities have been derived by calculation in accordance with BS 5950:Part 5:1998. Metsec C-sections can be used for applications where axial tension or compression loads are to be carried. 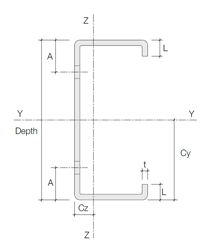 The MetSPEC design software can be used to select these sections. Metsec C-section compound column ties offer significant economic advantages from initial purchase through to on site installation. 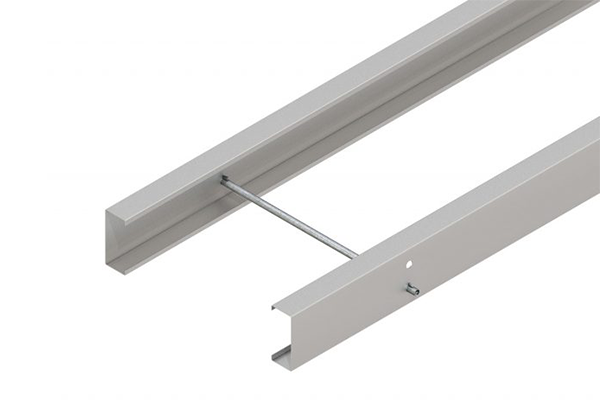 Metsec standard purlin cleats are suitable for all normal applications on purlins and side rail systems. Standard and non-standard cleats can be supplied for inset (web) floor constructions. Our rapid fix tie bar replaces threaded rod, nuts and washers, thereby greatly reducing installation time. 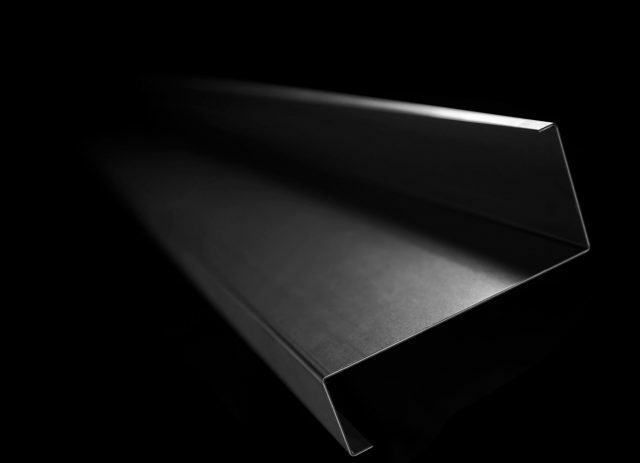 Metsec offer a range of wide flange Purlins where the cladding requires a larger bearing. This eliminates the need to fix an angle to the web of the Purlin to achieve the required bearing.